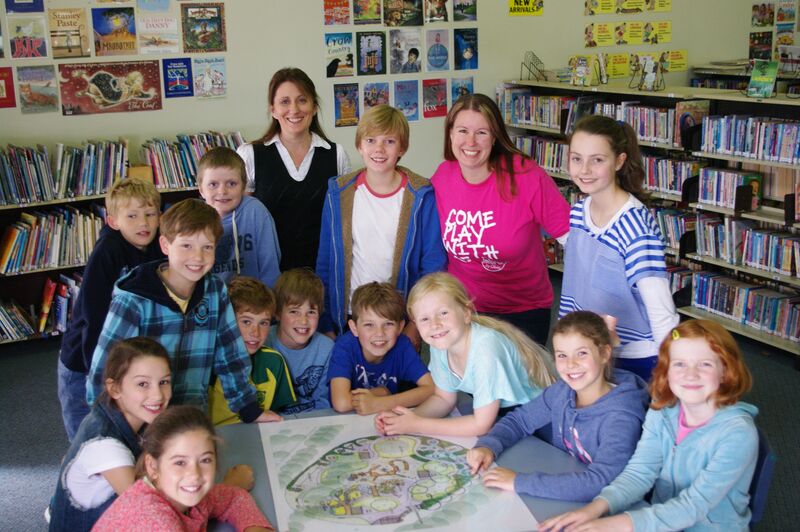 Ballarat Primary Schools are raising funds for the Flying Fox in Livvi’s Place. On Flying Fox Friday Dress-up Day, students will dress up in pink, blue and yellow representing the colours of the Touched by Olivia Foundation who work with councils to develop inclusive play spaces across Australia. Last week, Pleasant Street Primary in Ballarat was visited by Rebecca Paton, local mother of 2 and the community driver for the Livvis Place Ballarat Project. Rebecca spoke to the Pleasant Street Primary School Junior School Council about the planned play space and the benefits of inclusive play such as access for all and social inclusion. She was impressed by the intelligent questions asked and the wonderful support for the project shown by those students. Pleasant Street Primary are leading the way with the first Flying Fox Friday. Some other schools have shown an interest in running them and Rebecca is hopeful that by mid May most of the schools in Ballarat will have taken this opportunity to get involved, support a great project and celebrate inclusive play. For further information about Livvi’s Place Ballarat, contact Rebecca Paton at TBO@rebeccapaton.net.